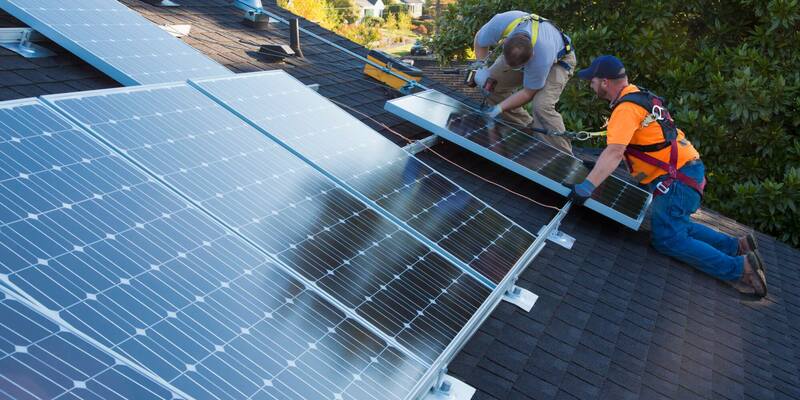 The main thing in building a solar panel is to acquire solar cells. Solar cells are very expensive and are not available everywhere. So you should work hard in finding them. You can also use blemished or second-hand solar cells. Try finding it on eBay. – Always buy cells of the same type. – Larger cells produce more amperes, so buy larger cells. – Total Watt is determined by Amp * Volts. A solar panel is a shallow box, so we have to make a shallow box so that the side wouldn’t shade the solar cells. Now use plywood which is 3/8 inches thick with 3/4 * 3/4 pieces of wood around the edges. You can make two of this panels so that it will hold our 36 cells. Keep 18 cells in one panel and 18 cells in another. Now use a plexiglass to cover up our panel, to protect it from rain, mud, birds, etc. Now you can color our wooden panel to white. Clean the solar cells with a tower but handle them carefully as they are very fragile. Now you mount all the 18 solar cells to the plywood box which we built. Solder the tabs on the back of the solar cells. Glue the cells in their proper places. Then Solder the tabs together. We have glued the cells so that they don’t move inside the panel. Now build another panel with remaining 18 cells like this only. You can make it more easily as you have built the first one and now building the second. Now connect both the panels to one another with the help of four small screws. You’ll need wires to connect two panels of 18 cells each, run these wires through the vent holes in the central divider. Use blobs of silicone caulk to anchor the wire in their correct place and prevent them from moving around. One more main thing is remaining. And that thing is a blocking diode. We need this to prevent the panel from discharging the batteries at night or during very cloudy condition. Use a Schottky diode with a 3.3 Amp rating. Less power is wasted if we use this diode. Use silicon caulk to anchor the wires and the diode. Add some more silicon caulk to the wire to seal the outside of the panel, so that the wires are not damaged during transportation. Now add a two pin plug to the end of the panel wires. You can use this power to charge the battery or for any other use. Test the voltage output through a tester and see if you are getting the desired result or not. If you are getting 18 volts approximately then you have done everything right otherwise it’s time to check our setup again. Now you can save on electricity bills.